and win federal gun cases. Federal firearm laws are complex and carry potentially serious penalties. From selling guns without a license to possessing a gun as a convicted felon, there are dozens of federal criminal laws regulating the purchase, sale, possession, and use of firearms. Our federal criminal lawyers have helped people win federal gun cases. Not only are these laws complex, but they give federal prosecutors a daunting arsenal of weapons when prosecuting individuals. The result has been a massive increase in prosecutions under federal firearm laws. As firearms prosecutions increase across the nation, it is more important than ever for people to understand the law and exercise their rights. Two main laws govern federal gun crimes: 18 U.S.C. § 922 and 18 U.S.C. § 924. Below are some of the more common charges brought by federal prosecutors, the penalties those charges carry, and some of the available defenses. There are many federal firearm laws regulating gun sales, including licensing requirements and limits on transporting certain weapons across state lines. It is illegal under federal law to sell guns across state lines without a license, and selling guns without a license can result in a five-year sentence. 18 U.S.C. § 922(a). Additionally, licensed dealers are prohibited from selling certain types of firearms, including machine guns and “destructive devices,” which are defined as bombs, grenades, mines, and rockets. (18 U.S.C. § 922(b)(4)). Engaging in the illegal sale of guns can lead to a prison sentence of five to ten years. Gun buyers must be just as careful as gun sellers. 18 U.S.C. § 922(a)(6) makes it illegal for a person buying a gun to make a false statement or misrepresent his identity to the firearms dealer. As buying a gun often requires filling out paperwork, it is important that gun buyers disclose all relevant information and take care not to make any misrepresentations to the dealer or the government. The consequence of failing to do so can include a fine and serving a ten-year sentence. It is not uncommon for a person who is prohibited from buying a gun to attempt buying one illegally through another person, who purchases the gun from the dealer on the prohibited person’s behalf. This third party is referred to as a “straw purchaser,” and these “straw purchases” carry sentences of up to ten years. It is imperative that gun owners preserve the serial numbers on their firearms. A person who knowingly delivers, transports, or possesses a gun that has an altered or removed serial number can be convicted for violating federal law 18 U.S.C. § 922(k) and face a sentence of up to five years. Some guns are completely illegal for civilians to own without a special license. For example, 18 U.S.C. § 922(o) criminalizes the sale and possession of “machine guns,” which are defined as weapons with the capacity to automatically shoot more than one shot by a single pull of the trigger. Knowingly violating the law by possessing a machine gun can result in a ten-year sentence if convicted, and using a machine gun during the commission of another crime can lead to a mandatory minimum sentence of thirty years. Many of us have seen signs outside of schools declaring the campus a “gun free zone.” It is illegal under federal law 18 U.S.C. § 922(q) for an individual to possess a firearm in a school zone. Knowingly violating this provision can lead to a fine and up to five years in prison. Given the highly regulated market for guns, it should come as no surprise that federal firearm laws punish those who own or deal in stolen guns. Under 18 U.S.C. § 922(i) and (j) it is illegal for any person, licensed or unlicensed, to transport or possess a stolen gun or stolen ammunition, as long as the person knows the gun is stolen. The punishment for violating this law includes a fine and up to a ten-year sentence. The Supreme Court has decided that a person can be “in possession” of a firearm even when they are not carrying a gun on their person. Instead, “possession” is defined as having the intent and ability to control a weapon. It is important for gun owners not only to know the law, but to also know their criminal history and legal status, as conviction for the unlawful possession of a firearm carries can lead to a ten-year sentence in prison. Federal firearm laws are especially harsh on individuals who use guns while they commit other crimes. 18 U.S.C. § 924(c) sets mandatory minimum sentences for individuals who “use or carry a firearm” during the commission of a crime of violence or drug trafficking crime. If the gun is a machine gun or a “destructive device,” the minimum sentence is thirty years. This law is especially severe when a defendant faces multiple convictions or has a prior conviction of using or carrying a gun during a crime of violence or drug trafficking crime. The second conviction for carrying a gun during a violent crime or drug trafficking crime comes with a minimum sentence of twenty-five years. If the gun in the second conviction is a machine gun or destructive device, the minimum sentence is life in prison. Additionally, the law mandates that a sentence for a conviction under 18 U.S.C. § 924(c) may not run “concurrently” with any other sentences, meaning an individual convicted under Subsection (c) must serve the minimum sentence in addition to any other sentence the individual is already serving. Fortunately, there are solid defenses and exceptions to federal gun laws. For example, an exception exists when a person possesses a gun due to duress and necessity, meaning the person was under an unlawful and imminent threat of death or serious bodily injury. Additionally, antique weapons are exempted from many of the federal gun laws. An experienced federal defense attorney will also raise defenses under the rules of evidence and the U.S. Constitution. In most federal gun cases, law enforcement officers will seize the weapon after conducting a search. However, the Fourth Amendment prohibits unreasonable searches and seizures. In cases where the officers seize a gun as part of an unlawful search, a smart defense attorney will move to have the gun excluded from evidence. For example, a firearm seized after searching an individual’s car without probable cause or consent may not be used as evidence against that individual. If it is a house being searched, officers must have a valid search warrant or the property they seize may be excluded from evidence. Without being able to admit the firearm in question into evidence, it is difficult for the government to prosecute a firearms case. That’s why it is important to ensure officers are complying with the law when they search for evidence. 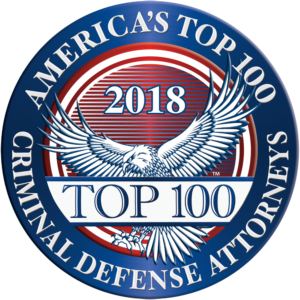 Most crimes require that a defendant have acted with criminal intent when he allegedly broke the law, and federal firearms laws are no different. Most federal firearms laws require that an individual act “knowingly” when breaking the law. For example, a conviction for possessing a gun with an altered serial number requires not only a defendant’s possession of a gun with an altered serial number, but also that the defendant had knowledge that that the serial number was altered or removed while the gun was in his possession. Likewise, a gun buyer must know that his statements to the dealer are false for the sale to be an illegal purchase. Since the government bears the burden of proof for proving every element of an offense, being able to prove that a defendant did not act “knowingly,” or with criminal intent, can make all the difference in a federal firearms case.